I think it goes without saying that by far the scariest part of pregnancy is the birth itself. When you’ve never experienced it and always hear horror stories from other people, it’s easy to let the fear overcome you. When we first decided we wanted to start trying last spring, the Pilot was deployed a lot, and I was home by myself with the puppers. 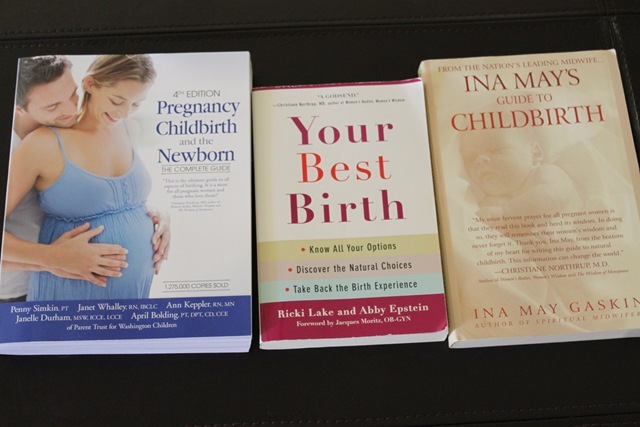 I decided to read as many books as possible about the birth process, because one of the things that helps me feel better and less afraid of the unknown is educating myself. I was seriously horrified of the process and would spend nights laying in bed, scared out of my mind and had nightmares about the birth itself. I think it was a red flag that even though it was something I really wanted, at the time, I wasn’t mentally ready. I read twelve books (almost all of which I’ll be writing about on this page), and when Tom deployed to Afghanistan, they went into the bottom of a large reusable shopping bag and I didn’t look at them again for the entire deployment. Since we got the positive test, heard the heartbeat and finally are starting to let reality kick in that this is really happening, I’ve brought the books back out as refreshers, bought some new ones including a couple for the Tom, and put together a birth team. 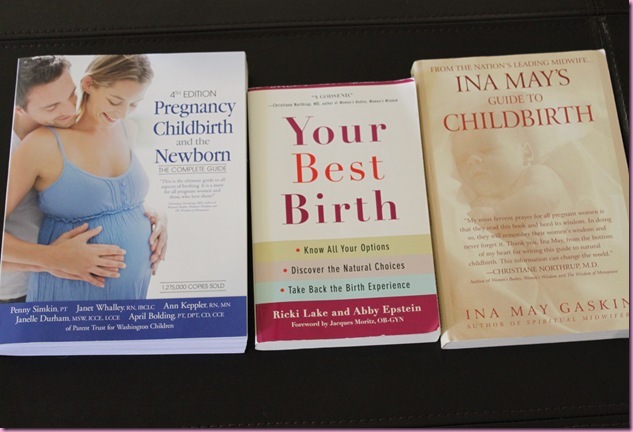 I’ve known from the beginning that I’ve wanted to have a birth with minimal medical intervention, so have read books that correspond with that ideal, as well as medical intervention stuff in case I’m in a situation where it needs to happen. I’m going through the birth process with an open mind, a great idea of what I’d like to happen, and knowledge on possible scenarios if plan B arises. –Pregnancy, Childbirth and the Newborn: a very thorough guide to EVERYTHING. I like the layout much better than “What to Expect..” and anything you could want to know is in this book. –Your Best Birth: This book is about taking back the birth experience, since many women who have a hospital birth end up with unnecessary C-sections due to the doctor’s convenience and the fact that pregnant women are treated like they’re sick. Pregnancy is a natural life process that our bodies have been capable of handling since the beginning of civilization. While this book does have a focus on home births, it provides a variety of birth options, what you need to know about the various types of medications offered, and gives empowerment to make the best decision for you. I’ve also seen the documentary from the authors of this book (The Business of Being Born), which is incredibly informational (and can be viewed for free online). 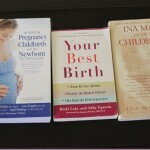 –Ina May’s Natural Guide to Childbirth: This book is my absolute favorite. It’s beautiful and so well written. It’s by Ina May Gaskin, who is one of the top midwives in the US- she learned her birthing techniques from the Mayans in Guatemala and emphasizes the low risk of morbidity and medical intervention in natural births. This book includes birth stories from women who have had natural birth experiences (which always make me bawl) and the second half of the book is purely informational. I’m excited to read this one again now that the time is here. The Birth Partner– Tom is going to be a key part of the birth process (from my neck back, haha. But seriously), and I wanted him to read this book for ideas on what to do and what he may need to know about the birth process. It gives the husband ideas of ways to support their wife during labor and is also recommended for doulas to read as well. The Dude’s Guide to Pregnancy- I bought this book because I knew he’d actually read it (and he did, in 1 day)- it’s crass, straight-forward, borderline offensive and he loved it. I read some parts and were cracking up because 1. they’re actually true and 2. it was totally written in dude language. Our midwife is actually going to be performing the entire birth in case medical intervention is necessary, in which case there will be an OB on hand. I will be in a birthing room at the hospital –Tom was 100% against the birth center since it’s a few minutes from the hospital, which is a long time in an emergency situation- and my midwife has the exact same ideals as I do. She’s confident that I’ll do “quite well” with the entire process and while she doesn’t baby me in the least (I find that if medical professionals baby me, I turn into a baby and cry a lot), but will be encouraging and is so knowledgeable that it’s very comforting to know she’ll be there. It’s funny because I was so scared of this a year ago, I feel totally ready (and even excited) for it right now. I’m looking forward to see what my body is capable of and the reward that we’ll get at the end will be beyond worth a few hours of being uncomfortable or in pain. I’m an athlete and can get through anything over the span of hours. you are so prepared, already!! i’m shocked!! you have really done a good job researching this whole process~ 🙂 everyone’s baby story it different! I’m sure you will do great! i want that little baby here already i can’t wait to see him/her! lol we have a while! Ina May’s books are great! Not sure if you plan on breastfeeding, but her breastfeeding book was great! I still go to it for reference and ive been nursing for almost 7 months. She rocks! I loved Ina May’s books! I can’t wait for the other book reviews! I have the sweetest best 4 month old precious little girl for for a niece. I have NEVER, even with my own two sons, witnessed an easier more flawless pregnancy and first four months of a baby’s life. My sister knew nothing about pregnancy or raising children. At the age of 38 she was blessed with what we have called the most wonderful “OOPS” pregnancy ever. My sister has never been happier and I have never saw a happier calmer baby in my life and I have saw many! 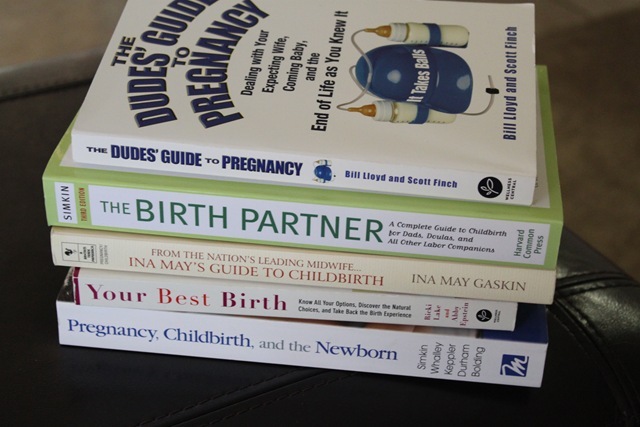 My sister NEVER read one book, one article, NOTHING about pregnancy and raising children. Trust me I offered her some reading. She followed only her “maternal instincts” and her daughter is absolutely thriving. I think sometimes we get too obsessed and caught up in what others tell us and after watching my sister who I thought was totally not the maternal type (BOY WAS I WRONG), I have a whole different opinion own reading and obsessing over others “hype”. I might be in the minority, but I’m one of those people who doesn’t study the course map before races and kind of just accepts that I am not going to be able to control what happens…. like in a novel. So I start, hoping for the ending I want (to finish) and kind of just go with it. That’s why I’m pretty sure I won’t be doing too much research when my time comes, because it’d just get me anxious (though some, like you, feel better by “knowing”). I agree with you that you should definitely stand up for yourself, though! Hey! Love your blog 🙂 I found out a week ago that we are expecting! WOO!! Just wondering — how did you choose your midwife? I want to find one that will deliver in a hospital, but am unsure of how to go about finding this arrangement. Seems that there are a number of birth centers that are local, but it’s harder to find the solo midwife who does hospital deliveries. any thoughts? i asked the nurse on base what she had heard and she gave me an awesome recommendation- ask around! You could also ask the hospital where you want to deliver. In my state, hospitals have to be pretty strict on who they allow to use their floors and often practices/doctors have agreements with the hospitals where they deliver. Good luck! congragulations! i had a baby boy in July and found Ina May’s book to be super. I also liked Birthing From Within. I gave birth in a birth center (that was in a hospital) and I also had a doula, which I cannot recommend enough! I labored at home for a long time, which was really great. 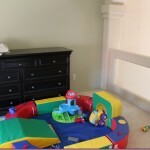 you are usually more relaxed in your own home and that means baby can come sooner! My doula was at my house and was then able to tell us when we should head to the hospital, then she followed us there and helped at the hospital as well. Such a good idea to have a doula! I gave birth an hour or so after arriving at the hospital…I just tried to trust in my body that I could do this thing- and I did! 9 pounds 8 ounces, no drugs…(I didnt want drugs but wasnt at the hospital long enough to get them if I wanted them :)) Hopefully my story isnt too boring! I loved hearing about other people’s HAPPY birth stories when I was pregnant. Good luck to you! 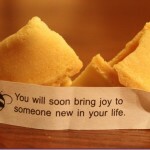 Its such an exciting time! 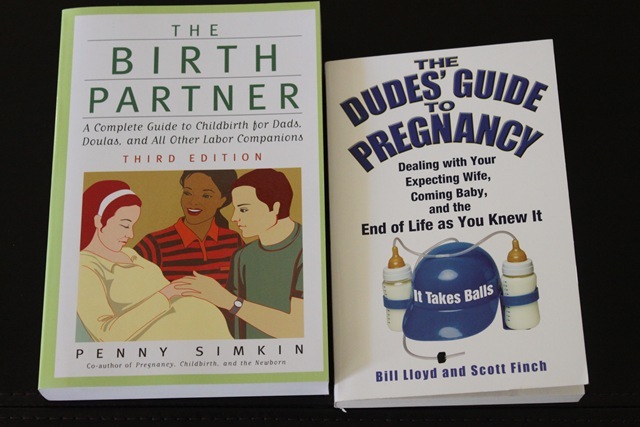 So glad you included books for the husbands =) I keep telling Mr. O he’ll have to read the baby books too when the time comes, but I’d prefer a book he’ll actually like and one that’s helpful for the partners. Thanks for the recommendations! Your birth plan sounds great! And kudos on educating yourself–when you’re educated about your options and know what all the medical info means it is so much less stressful. And yay for a doula! My best friend served as my doula (she had a daughter before me, and we had very similiar birth situations) and it was necessary for me…and almost more necessary for my husband to have her support, too. For encouragment–I had planned to give birth at a birth center but had to transfer during birth. We ended up paying for *two* births, which sucked. It’s really great that you found a middle ground. Unfortunately, in my city, there’s only one (extremely overloaded) OB practice that employs midwives. So sad! I did this with both my births and it was phenomenal – all about your body being able to do what it is supposed to with minimal intervention. I still use it when I need to sleep or decrease my pain naturally. If you want more information – I’d be happy to talk/email. Hi Gina, congratulations! Maybe this was brought up, but how does deployment work now that you are preggo, or even when the baby is born? I hope this isn’t a silly question, but I really have no idea and am curious. I guess you are living near your mom now…and that is the BEST thing b/c you will need all the help and support and who better than your mom?? Wow, perfect timing! By then, you’ll be a pro or maybe you can squeeze another one out 😉 lol So happy for you both! Its weird, even staying at the hospital was an experience that I miss. btw, is that just a coincedence that he will not be deployed or because of the baby? That’s so awesome! I’ve been following your blog for a while now and I love it! I wanted to thank you for being so open and sincere with us your readers 🙂 It almost feels as if you’re one of my good friends lol.. I have enjoyed reading about the milestones in your life and Im so happy for this special time you’re going through, you will be a great mom. I’m not going to tell you my birth story here or anything I just want to echo what you’ve said–the process of giving birth is totally worth the product 🙂 And it’s true what they say–through the magic of the mama’s body, whatever happened while the little buddy was making his way into the world I’ve basically forgotten. I did it, we did it, he did it, and he’s here. I’ve said it before but here it is again: I am so, soooo excited for you two 🙂 and that you will be around family as well. It’s wonderful! Also, I had a doula last minute and she was so incredible….! like an angel, seriously, sent to guide us through. I see some people have recommended Bradley classes, and I also highly recommend it. It’s a 12-week class and it will teach you everything you need to know about the birth process – it’s really nothing at all to be scared of! It’s like a tough race, and if you’re prepared you’ll be fine. If you want to go the unmedicated route, definitely look into Bradley (also called Husband-coached childbirth – husbands have a vital support role in this method). I did both of my births unmedicated. great to know- thank you! Congratulations! Such an exciting time. I have 3 little ones and had 3 wonderful drug free births. My favorite book was Birthing From Within. Some of it – the arts and crafts stuff! 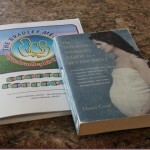 – was a little too out there for me, but there were some great guides with questions to ask and of course strategies to get you through the labor and delivery. Best of luck! Hi there! We just found out we are expecting and wanted to see if you would share the name of your midwife and doula (we are fellow Tucsonans:) ?.. From reading all about your expierence I would love to meet with them if possible, and see if they would be a good fit for us. I’m so excited to re-read all of your posts about getting ready for baby!